In his book The Slight Edge, author Jeff Olson talks about the “ripple effect.” This is when you toss a rock into a pond and see the ripples from its impact spreading out until they reach the opposite shore. This same ripple effect happens every day in our lives by the way we touch others. 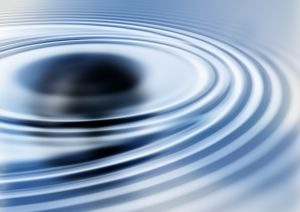 Even though we cannot actually see the “ripples” we are causing, they are there. If we smile at someone, there is a ripple effect on that person. If you speak negatively to a co-worker you are creating a ripple. We just are not able to see what those ripples are doing to that person. Everything we do is important. 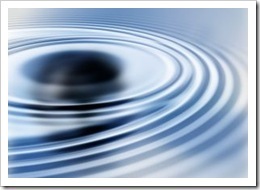 We must ask ourselves are the “ripples” we cause in other’s lives each day positive or negative? When thinking about the statement above, it causes an“awe” effect, reminding us that we are liable for our words and actions. So often we have no idea how what we do or say to someone will impact them in the long wave of the ripple we create in their life. As we start out our week may we all create positive ripples with those we encounter. This entry was posted on Monday, September 7th, 2015 at 8:00 am by Tina Del Buono, PMAC. Filed under Employee Management, Leadership, Manager Topics, Motivational, Self-improvement. You can follow any responses to this entry through the RSS 2.0 feed. Both comments and pings are currently closed.